Yiwu Furniture Market local at the junction of Guangqingfan Village and Longhui Village. 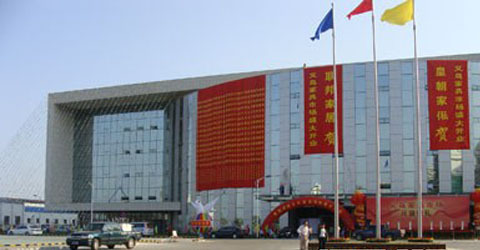 Yiwu Furniture Market is the only large-scale professional furniture market approved by the Government. 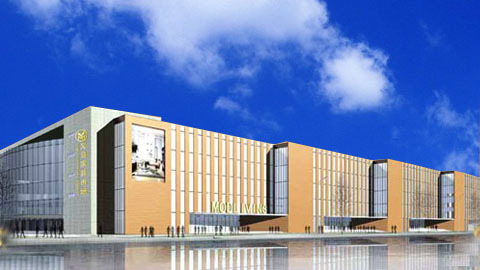 Yiwu Furniture Market occupies 420 Mu and a building area of 1.6 million square meters with a total investment of 250 million. Yiwu Furniture Market is the largest single modern furniture market in Zhejiang provincewith the highest grade, the best environment, most complete supporting facilities. There are products of high, middle and low grades and supports home and abroad. The 1st underground floor deals in the basement of affordable furniture and office furniture; soft bed, sofa, rattan, metal glass furniture and support services area on the first floor as; floor of a modern panel furniture, children's suite on the second floor; mahogany furniture and solid wood furniture, classic European-style furniture on the third floor; wonderful space for furniture on the fourth floor; the fifth floor is the business district and home accessories area, decorative design company; large parking on the underground 2nd. Other furniture: bookcase, rattan furniture | bedside cabinets, bedroom cabinets | bedroom furniture: bedroom bed, dresser | Restaurant furniture: tables, chairs | living room furniture: audio-visual cabinet, coffee table, shoe, sofa | doors, windows | based building materials and Wood | Lighting products, lighting lamps | bathroom products, ceramic sanitary ware | household items (curtains, bedding, accessories, etc.) | wall surface materials | Paint Coatings | hardware tools, electric and electrical materials, pipe fittings | kitchen supplies, kitchen cabinets | Electric .